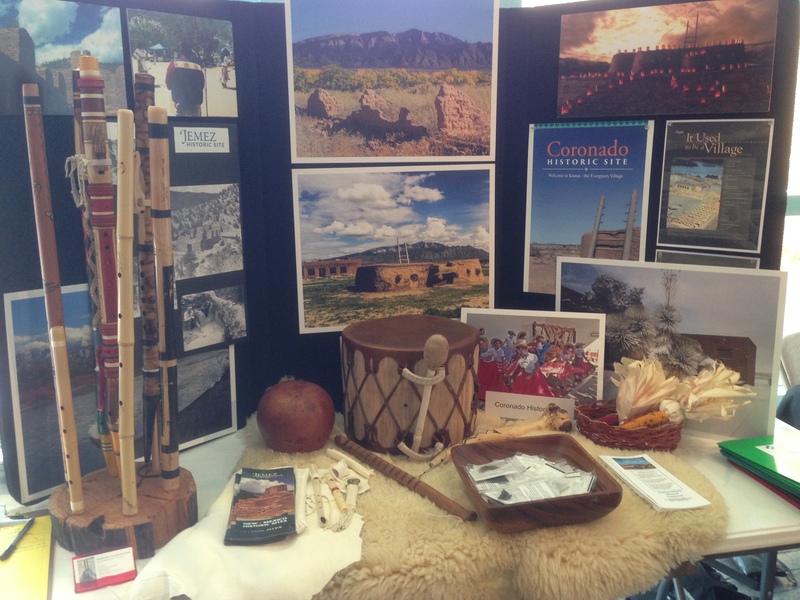 This is a sample selection of some of the artifacts and replicas that we might bring to your school. Coronado Historic Site has a variety of free, engaging outreach programs that your organization can invite into your school or educational facility at no charge. We invite you to choose the program that is most interesting or appropriate for your group. Then complete the application below. You will hear back from us, usually within a day or two, to find out whether the time and date was available. If we aren’t available on that date, we will find one that works! Please reserve your library or a very large, unused classroom so we can set up and leave our artifacts set up for the whole time. Projector: We use a powerpoint with my presentation, so we need a projector and a screen, wall, Promethean or Smartboard. No internet is needed. Speakers: In some presentations, speakers are needed. Sound system: If groups will be large, a mic / amp is helpful. Set up for us before we arrive: Please set up for us before we arrive, as we will be bringing lots of hands-on artifacts and replicas for students to view and touch – it will take at least 30 minutes prior to the start of school to set up.